State laws require companies to hold annual meetings of its shareowners to elect directors and to vote on matters required for approval. In that context, shareowners may attend the meeting and vote their shares during the meeting. The annual meeting also serves as an opportunity for management to update shareowners on company developments and to review company performance. Shareowners are usually provided an opportunity to ask questions of management and directors about the business of the company. It is generally accepted that shareowner participation should be welcomed and encouraged at a company’s annual meeting. Shareowners who attend a company’s annual meeting often view it as an opportunity to see and hear the company’s management and to judge their quality. For some shareowners, it is an opportunity to express concerns or advocate action on important issues, including shareholder proposals. The use of technology to enhance shareholder communications and to facilitate individual investor participation is a goal of regulators, public companies, shareholders, industry participants and others who are invested in the corporate governance process. Applying technology to the annual meeting by allowing virtual participation in the shareholder meeting is a way to make the meeting more relevant, accessible and engaging for all involved. Over the past 10 years, we have seen a convergence of the annual meeting process with the use of technology which brought about the concept of a virtual shareholder meeting (VSM). VSMs are held online at a secure website and shareholders attend remotely via the internet. The meeting may be video streamed over the internet so that shareholders can see the presenters (although this adds to the costs). The more common way is an audio webcast. A hybrid shareholder meeting combines a physical meeting with the features of a virtual meeting, offering shareholders the option to attend either in person or remotely. The technology validates shareholders and allows them to vote and ask questions as in a live meeting. 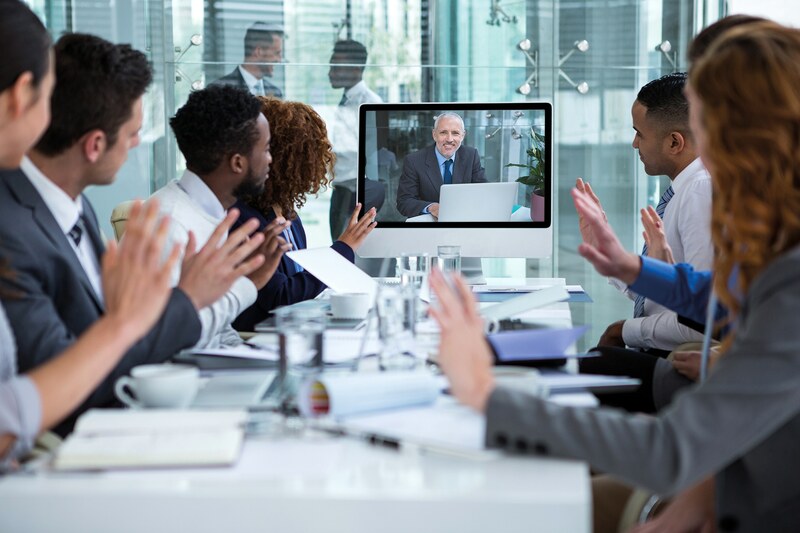 A virtual meeting is now a true alternative to a physical annual meeting, or, in the case of a hybrid meeting, a complement to a physical annual meeting. The first is regulation. In the case of shareholder meetings in the US, state corporation laws govern the annual meeting. In 2000, Delaware amended its General Corporation Law to allow ‘electronic meetings’. Other states followed suit and today, 30 states allow virtual-only meetings and 42 states allow hybrid meetings – i.e. both physical and virtual. Currently, nine states require an in-person-only format, so companies incorporated in those states are prohibited from having a virtual meeting. The second is technology, which must be accessible enough that shareholders have the practical ability to use it. In the case of virtual meetings, a key technological advance was the increasing availability and use of broadband (high speed, high availability) access to the internet. When Delaware changed the law to allow virtual meetings in 2000, broadband was not readily available or used by households. Today, in the United States and globally, almost all active users of the internet have broadband access. 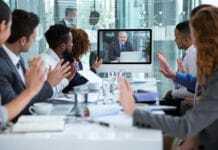 The number of publicly traded companies holding virtual meetings has increased as companies are discovering the benefits of virtual meetings. They allow a wider group of shareholders to participate in the annual meeting, regardless of their location, and the costs to them can be considerably less. In addition, the costs to the company of a virtual-only meeting are typically less than an in-person annual meeting. Virtual meetings eliminate the need for large physical spaces, security, refreshments and large support staff. Meetings can be executed by small groups via telephone and/or video connection. Directors may attend in person, via telephone and/or alongside outside auditors and the inspector of election. Replays of these meetings are also available. All shareholders – registered and beneficial – can easily attend and vote as in a physical meeting. This enables companies to more easily share their corporate results and strategy with all shareholders. ■ What type of meeting will you will hold? Is it virtual-only or hybrid (assuming you are incorporated in a state that allows such)? Virtual only meetings have no physical location for shareholders – everyone attends online. A hybrid meeting combines a physical meeting with the features of a virtual meeting and offers shareholders the option to attend either in person or virtually. This would allow the greatest shareholder participation possible. One drawback to the hybrid meeting is expense. A company incurs the costs of both a physical, in-person meeting as well as the additional costs of a virtual meeting. Furthermore, some companies find it challenging to equally manage questions from in-person shareholders as well as those participating remotely; some shareholders may feel left out, despite a company’s best efforts. ■ What format will your meeting be? Will it be audio only, or audio plus live video stream? Whether you choose virtual-only or hybrid, you must determine whether the virtual portion will be exclusively audio or have a video component. Most companies are choosing the live, audio-only event, foregoing the cost and logistics of setting up a live video stream. Additionally, an audio event is similar in many respects to a quarterly earnings call, where participants engage with management remotely. This is a process that is familiar to both companies and their investors. ■ How will you handle shareholder questions? There are three options to consider. The first is to take questions live via the text box at the electronic meeting page. The second is to have a live phone line open for shareholders to call in to ask their questions. Additionally, companies can also allow shareholders to ask their questions before the meeting, or ‘pre-meeting’. Companies can choose one, two or three of these options. 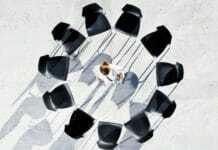 ■ Will you allow guests (non-shareholders) into the meeting? Some companies allow guests to listen but disallow questions from non-shareholders. ■ Where will management and the directors be during the meeting? A benefit of a virtual meeting is that management and directors can attend remotely from any location that is convenient for them. While often directors and management are in the same location for an annual meeting, holding a virtual meeting can provide flexibility. They may join the virtual meeting either by telephone or video and make comments and answer questions during the live meeting even if they are not in the same location as other board members or management. If the meeting has a video component, companies should consider carefully how the directors will be viewed online, whether they are physically located in the meeting room or remote. How does a virtual shareholder meeting work? The good news is that the process for conducting a VSM is very similar to the process for a physical meeting. The company creates its proxy materials, which are distributed to shareholders. For the meeting location the company provides a URL that directs shareholders to the online location of the meeting. Shareholders go to that URL, where they enter their control number, which was distributed with their proxy material. A shareholder’s unique control number is used to validate his or her entry into the meeting ‘room’ and enables him or her to ask questions during the meeting. It also assures the company that it is a validated shareholder who is asking the question. Shareholders can also cast their votes online in a secure manner while polls are open and the meeting is in progress. The company’s management team is directed to a private URL from which the team manages the meeting. The meeting dashboard allows the company to monitor in real-time how many shareholders are attending the meeting, how many shares are being voted throughout the meeting and any questions that are submitted by validated shareholders (see below). There is debate over virtual shareowner meetings. Virtual participation presents an opportunity for shareowners who cannot travel to more easily attend and engage. Some endorse virtual-only shareholder meetings, noting that few shareholders physically attend smaller companies’ shareholder meetings. Others are concerned that virtual-only participation could diminish the ability of shareowners to fully participate and have their questions and concerns heard without the risk of management exerting excessive control. In this view, if virtual technology replaces in-person meetings, the only opportunity for shareholder engagement with independent board members may be lost if the company does not allow shareholders to ask questions of directors, or otherwise makes directors available to shareholders outside of the annual meeting process. Despite the benefits, some investors object to virtual-only meetings by adopting policies expressing their views about how meetings should be conducted. These investors believe shareholders do not have the same access to board members and senior management as they would at an in-person annual meeting or hybrid meeting. This is the case when directors and management are not able to be seen live with video. Some worry that a company will not respond to all shareholder questions posed during a meeting. It is important to know who your investors are. Be aware of annual meeting conduct policies and whether a company’s approach would satisfy its investors. A company should maintain a policy stating that all legitimate shareholder questions will be responded to either during the meeting or in writing, given time constraints. Policies should also state that responses will be posted to the company’s investor website page. An excellent resource on the subject of online meetings and shareholder participation in those meetings is Principles and Best Practices for Virtual Annual Shareowner Meetings – developed by the Best Practices Committee for Shareowner Participation in Virtual Annual Meetings. The guidelines include suggestions for ensuring that shareholders are able to fully participate in virtual meetings. The Best Practices Committee for Shareowner Participation in Virtual Annual Meetings is a committee of interested constituents, comprised of 17 executives representing retail and institutional investors, public company representatives and proxy and legal service providers. This working group discusses best practices for virtual shareowner participation in annual meetings – with a view towards ensuring that the needs of all constituents are met in a fair and well-balanced manner. Together, the working group identified five principles and 12 best practices that companies should consider when managing annual shareowner meetings. 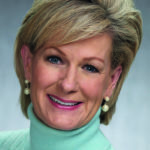 Darla Stuckey is President & CEO of the Society for Corporate Governance. Ms. Stuckey has been responsible for legal, policy, advocacy, research and communication efforts on the Society’s behalf. Prior to joining the Society, Ms. Stuckey worked for the American Express Company and NYSE, Inc. Ms. Stuckey has a BS from Oklahoma Christian College, an MA from the University of Oklahoma and a JD from Brooklyn Law School. Cathy H. Conlon is the head of Corporate Issuer Product and Strategy at Broadridge. 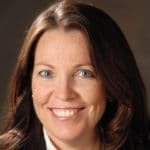 In this role, Cathy spearheaded the acquisition of Summit Financial Disclosure and has driven the launch of several new products and services to the issuer market. 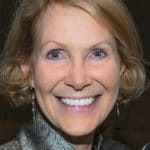 Cathy’s was responsible for the design, development and implementation of the Virtual Shareholder Meeting (VSM) platform and is an expert in the use of virtual meetings for public company annual meetings.